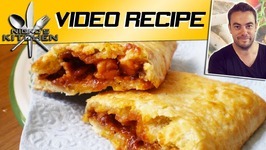 A delicious sandwich recipe for all my viewers. 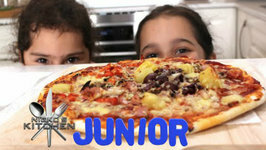 Havana Sienna make a quick and easy Pizza recipe for children brought to you by Handee Ultra. 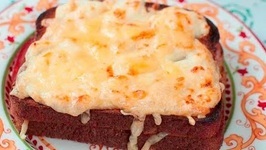 Want a quick snack which is easy to do? This is it. 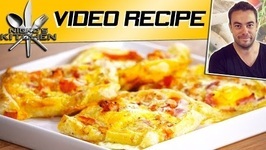 Characterised by the daily addition of olive oil to food, the Mediterranean diet has been recognised as a nutritional model associated with long life, low incidence of ..
Today we are doing another really easy breakfast recipe. Tart for breakfast? Oh Yes! This ham salad recipe is not a copycat recipe, but it is from a woman that I met, and I thought she had the most amazing ham salad, so I wanted to share this one with you. 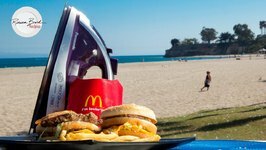 Rebecca Brand shows how to make a McDonald's Big Mac Hamburger with an Iron. 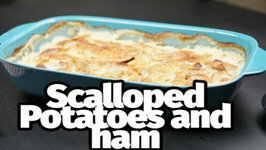 McDonalds Burgers can be made with an Iron, Mc Donalds secret sauce is not so secret if you ..
Scalloped potatoes and ham is a great way to use up leftover ham and really help stretch the grocery budget. 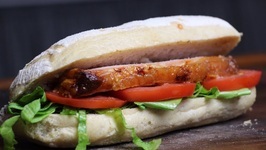 Virginia Ham BLT sandwich- A great recipe for Grill and Smoker. 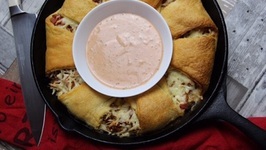 Ham Cheese Cast Iron Croissant Ring - A great recipe for Grill and Smoker. 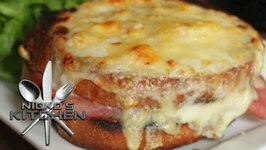 Maple syrup tops off this delectable Monte Cristo style sandwich with maple aiola, fried ham, and fontina cheese. What else could you ask for, except for a dollop of blackberry jam. Betty demonstrates how to make Spinach-Ham Rollups. 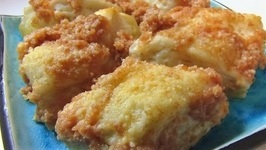 This is a great side dish, and it is hearty enough to use as an entrée. 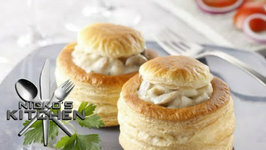 Betty demonstrates how to make Parmesan Ham Puffs. 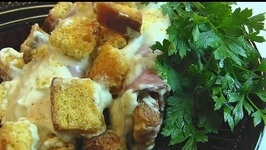 These are made from refrigerator biscuits, deviled ham, butter, and Parmesan cheese. 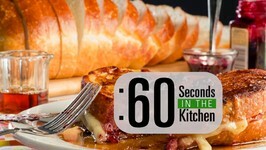 Learn how to make this easy blackened turkey, black forest ham and pepper jack cheese croissant sandwich for a busy day. 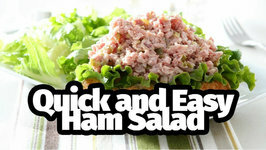 Betty demonstrates how to make Ground Country Ham Salad. 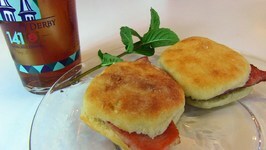 The recipe and the ground country ham are from Brownings Country Ham of Dry Ridge, KY. I know you have seen this amazing sandwich served at La Madeleine. You can make this brunch classic at home. 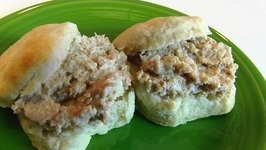 Betty demonstrates how to make Country Ham Rolls. 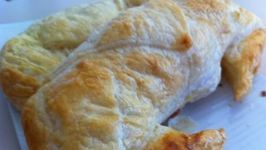 This is a traditional entree that can be served on Derby Day for breakfast, brunch, lunch, or dinner. 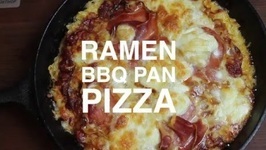 Ramen BBQ Pan Pizza - A great recipe for Grill and Smoker. 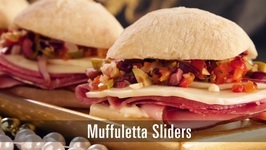 This muffaletta sandwich is a match made in food heaven for Mardi Gras but is tasty enough to turn any meal into an authentic Louisiana experience. 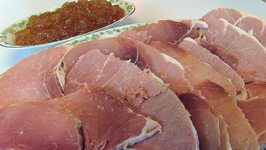 Betty demonstrates how to make Sliced Country Ham with Pear Honey. This is a great combination for your Easter table. Betty demonstrates how to make a Deviled Ham and Cheese Log. 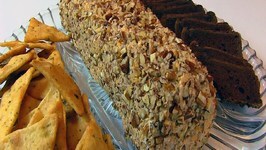 This is a terrific snack for a get-together for a sports event like the Super Bowl. Ham and Egg Pasta is a delicious, quick meal that is guaranteed to satisfy even the fussiest of children (and adults too!) 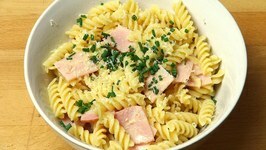 - Hot, tender pasta is combined with ham and a ..